April 20th is the 100th birthday of Donald A. Wandrei (1908-1987). Hailing from St. Paul, Minnesota, he had fourteen stories in Weird Tales, another sixteen in Astounding Stories, plus a few in other magazines. 1. As a young man, he started corresponding with H. P. Lovecraft. He was the first writer to take Lovecraft’s cosmic ideas and apply them to his own tales. Lovecraft was writing a sort of cosmic horror, and Wandrei applied it to science fiction. Wandrei’s “The Red Brain” beat Lovecraft’s “The Call of Cthulhu” into print by a few months, though through no fault of Lovecraft. Farnsworth Wright was hesitant to run Lovecraft’s story. 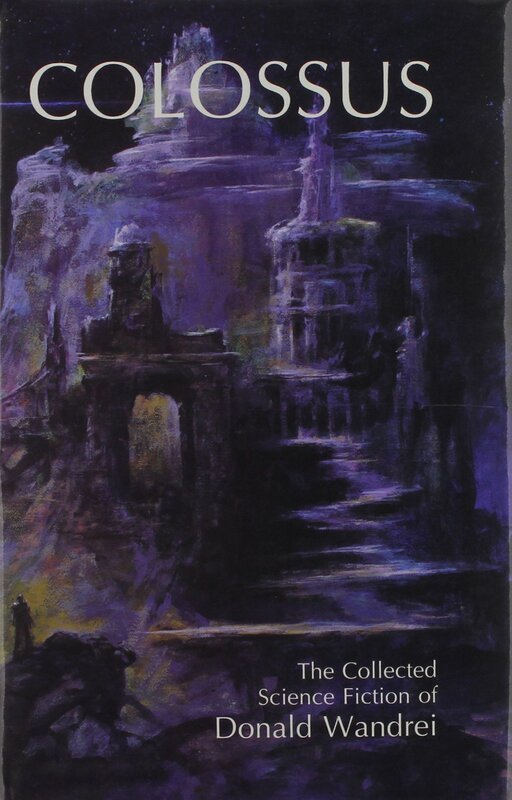 Wandrei personally made the case for “The Call of Cthulhu,” telling Wright that if he failed to publish this seminal work, Lovecraft might look for other magazines to submit to. Wandrei’s visit with Wright worked. Later Frank Belknap Long, Clark Ashton Smith, and even Robert E. Howard tapped into Lovecraft’s cosmicism. But Wandrei was the first, and showed it could be done. 2. Wandrei was an accomplished poet. He was the first to write a series of sonnets for Weird Tales, “Sonnets of the Midnight Hours.” Lovecraft liked the idea so much, he embarked on his own, “Fungi From Yuggoth.” Robert E. Howard wrote his own series with “Sonnets out of Bedlam.” Again, Wandrei was the first. 3. Donald Wandrei helped created modern science fiction. In late 1933, Astounding Stories was revived by Street & Smith under the editorship of F. Orlin Tremaine. The original Astounding had been a science fiction adventure pulp under Clayton Publications of low-to-mediocre quality. Clayton went under in early 1933, and Street & Smith bought Astounding Stories and Clues. Tremaine recruited Wandrei for both magazines, where he was a featured writer during the middle 1930s. His story “Colossus” was the first “thought variant” story. Tremaine turned an inferior magazine into the leading science fiction publication, and Donald Wandrei’s stories helped make that transition. A few years later John W. Campbell took over as editor, and Astounding Stories became Astounding Science Fiction. Campbell discovered Robert Heinlein, Lester del Rey, L. Sprague de Camp, George O. Smith, A. E. Van Vogt, etc. He also discovered Isaac Asimov, though he was not the first to publish him. No Wandrei to help revive Astounding Stories, no modern science fiction. 4. 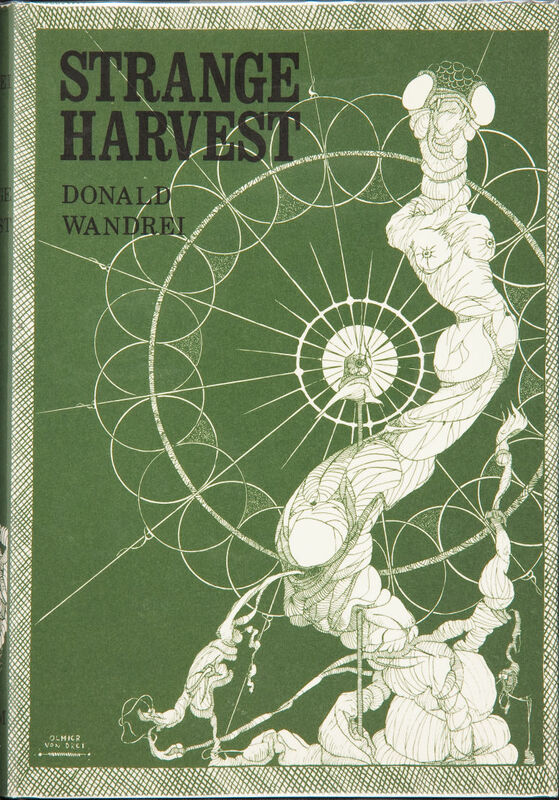 Donald Wandrei helped create Arkham House with August Derleth to preserve H. P. Lovecraft. Along the way, Arkham House published Robert E. Howard’s first collection garnered from Weird Tales — Skull-Face and Others. I will say that the Arkham House method is still the one to follow. The books were well made, easy to handle, and easy on the eye in layout and font. The cover art was generally good, but not overwrought. The focus was on getting the fiction into the hands of the reader and have it as a pleasurable experience. Some small press operations would be wise to take heed today. 5. Wandrei did much of the work on Lovecraft’s Selected Letters. Lovecraft studies would be nowhere without those letters. We wouldn’t have books collecting letters of Robert E. Howard, Clark Ashton Smith etc if it was not for this pioneering work. Wandrei had written to Howard probably in 1932. Howard wrote a short letter to Wandrei in February 1933 expressing his admiration for Wandrei’s story “The Lives of Alfred Kramer” (voted the most popular story in December 1932 issue of Weird Tales, where “Phoenix on the Sword” also appeared). 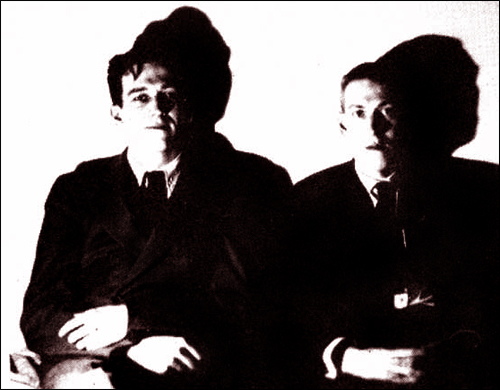 It appears that Wandrei had urged Howard to make a trip East to meet up with him and probably Lovecraft. One can only wonder what would have happened if Howard had taken up Wandrei’s suggestion. I exchanged some letters with Wandrei during the 1980s. He was long past his fiction writing phase but he may still have been writing some poetry in his last years. He had a reputation for strong opinions. My own take is he didn’t suffer fools lightly. Last year, on a discussion group, a now departed editor of the modern Weird Tales referred to Wandrei as a “hack.” He did write some dud stories, all writers do. Yet how many writers manage to sell to Esquire at the same time Hemingway was in that magazine? Wandrei had three stories in Esquire. I am not sure if branding a writer who has sold to Esquire in its glory days as a hack will hold up as an accurate assessment. Donald Wandrei’s fiction remains a favorite of mine to return to periodically. He had an incredible command of language that was poetic, and he used language correctly. In that regard, he may have been the best writer in Weird Tales. Don’t take my word for it, order yourself a copy of Colossus and Don’t Dream make your own decision.